GREENVILLE – Second National Bank announced that Laura Cloyd has been promoted to an administrative officer. 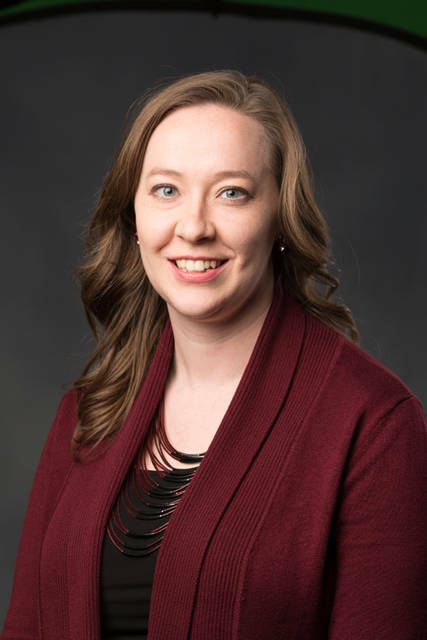 Cloyd began her banking career with Second National Bank in 2003 as a teller and customer service representative and currently is a commercial cash management specialist. She graduated from Arcanum High School and has an associate’s degree in accounting from Edison State Community College. She has been active in the community, most recently volunteering with the Ohio Benefit Bank the past two years to prepare no cost tax returns for low income residents of Darke County. Cloyd lives in Greenville with her husband, Nathan. “Laura is deserving of this promotion to an officer of Second National Bank. She is very knowledgeable in the cash management area and in banking. She provides excellent service and advice to our customers and we regularly receive compliments from customers on the great service she provides to them,” SNB President John Swallow said. Headquartered in Greenville, Second National Bank is part of the Park National Corporation, a group of strong community banks based in Ohio. Second National was originally chartered in July 1883 and has seven offices in Greenville, Arcanum, Versailles, Fort Recovery and Celina.